This fantastic suite offers a stylish fit out including meeting area, and glass fronted offices. Situated on an upper floor of this well located building this suite offers a great layout with exceptional natural light and a great outlook. 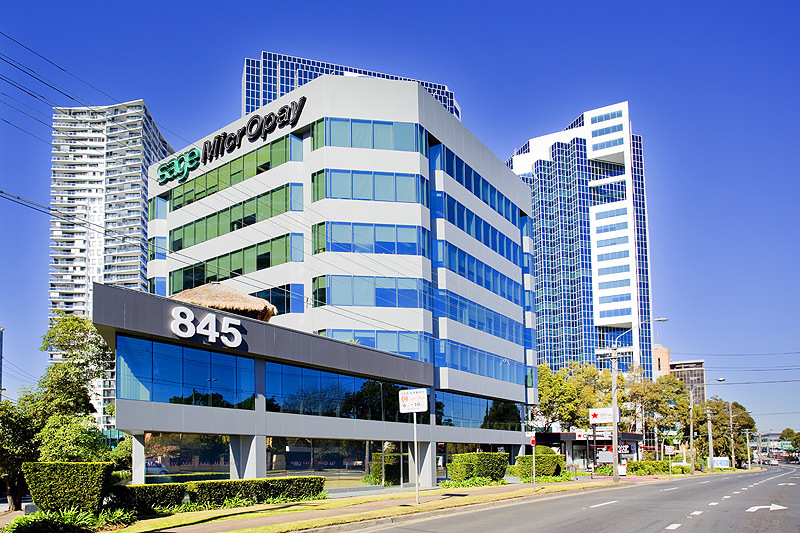 845 Pacific Highway is located on the corner of Pacific Highway and Railway Street, a prime corner position in the foreground of the "Zenith Centre"
The building comprises one level of basement parking, ground floor and six upper levels of office accommodation with views to the Blue Mountains. The building is an approximate 3-4 minute walk from the Chatswood train/bus interchange.